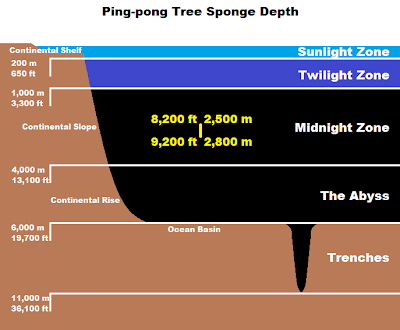 The Ping-pong Tree Sponge reaches around 50 cm (20 in) in height, most of this composed of a thin stalk. 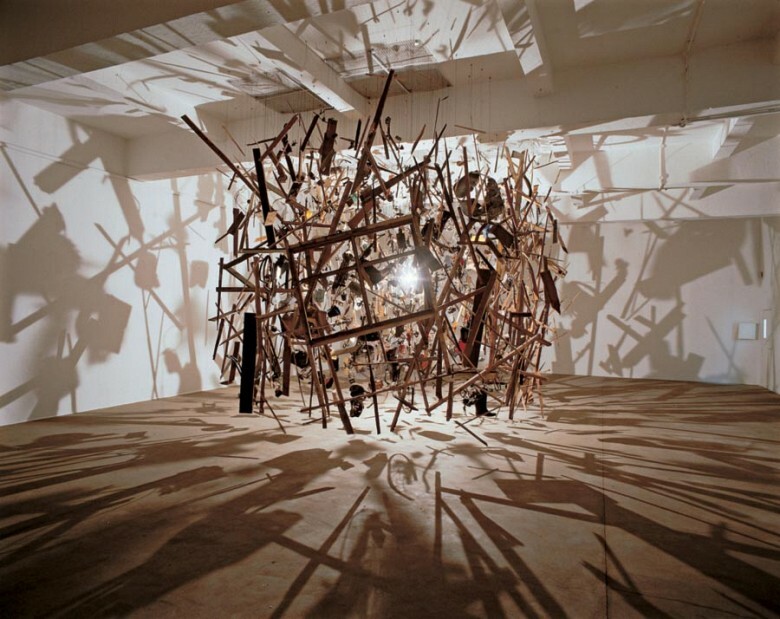 At its top is a peculiar array of ethereal globules at the end of stems emanating from a central body. It looks like some kind of gelatinous explosion that just sort of... stopped. As explosions go, it looks like one of the more comfortable ones. But those blobs are nowhere near as soft or spectral as they seem. This is where we get to the FLESH EATING. The swellings are covered in spicules, the tiny structures that form the skeleton of a Sponge. In this case they are hook shaped. Any little crustaceans that touch them are trapped, the bristly hairs on their body caught on the hooks like velcro. Slowly, ever so slowly, cells in the Ping-pong Tree Sponge move toward the struggling prey to begin digestion. Each cell acts like an Amoeba, using phagocytosis to consume a tiny fragment of the doomed victim. Sponges usually do this kind of thing to bacteria, things small enough to be eaten whole. Carnivorous Sponges use it on much larger fare. Bit by bit, the Ping-pong Tree Sponge digests its food. Without a stomach or any other kind of digestive cavity, the prostrated wretch melts away on a translucent wiff-waff ball. 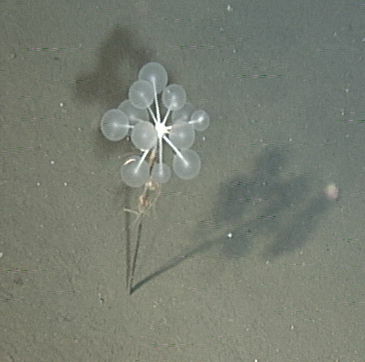 It's this slow-motion horror show that allows this Sponge to flourish in the deserts of the deep. 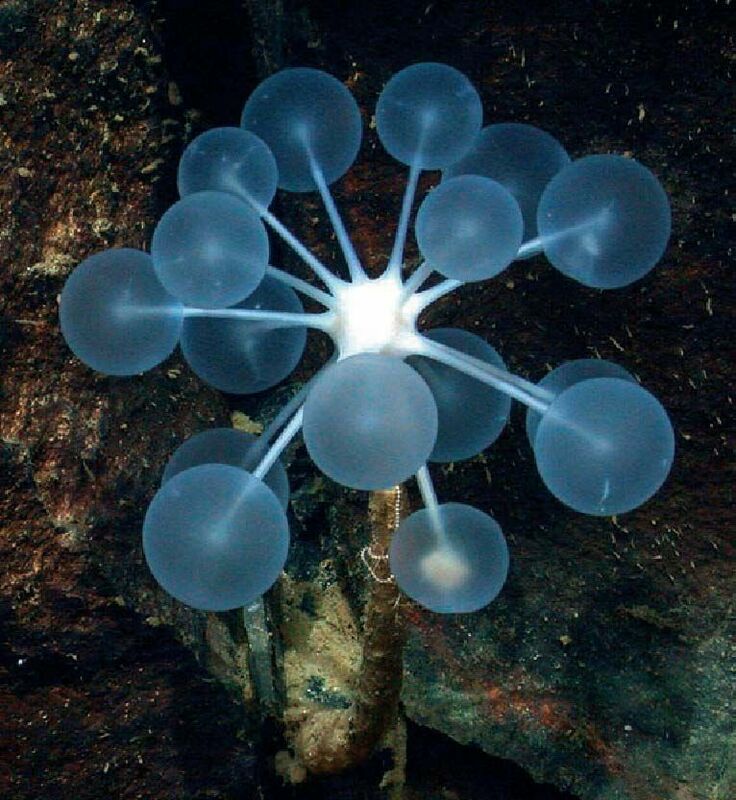 As far as I can make out, they are found in the Pacific Ocean at depths of around 2,700 metres (8,860 ft). In any case, I thought ping-pong was meant to be more fun than that? Ha! Not a word I'd thought of, I must admit! I know what you mean! It would actually be quite impressive if someone imagined those eating habits, they're just so horribly ludicrous. Looks like something I'd put in my desk. Yeh, it looks like one of those little palm tree type things, except with balls instead of the spiky leaves. This one would also be better at getting rid of any little shrimp you might have flying about at home! I completely understand, good luck!